CHECK OUT THE 2018 WINNERS INSIDE! 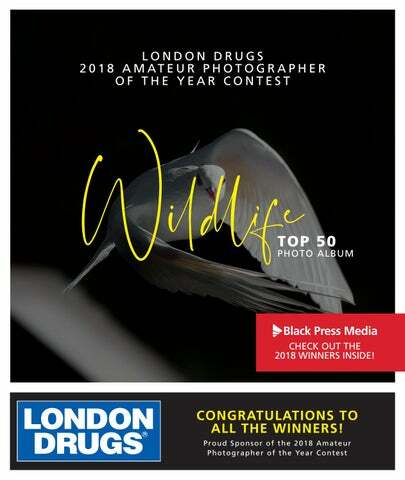 LONDON DRUGS 2018 AMATEUR PHOTOGRAPHER OF THE YEAR CONTEST From the tiniest creatures to the most majestic animals of land, sea and air, discover Western Canada’s wildlife in all its beauty in these breathtaking images from across British Columbia, Alberta and the Yukon! One of seven categories highlighted in this year’s Amateur Photographer of the Year Contest, hosted by Black Press Media and London Drugs, these photographs reflect both the unique diversity of our region and the remarkable talent of the amateur photographers capturing its people, places, animals and events. That we live in a remarkable part of the world is evident in the many thousands of powerful images submitted across all categories – images that tell the story of this place we call home … or our home away from home. From those submissions, a panel of judges undertook the challenging task of selecting the very best, which we’re excited to share with you here. Enjoy! Bryan is the Wildlife Category Winner for his Rock Pigeon photograph. LOOKING FOR THE GREATEST LOCAL DEALS? Click on the eEdition button at the top of your favourite Black Press Media newspaper website for exclusive local deals in your community! How do Canadians know if it’s true (or not)? They turn to the trusted source: newspapers in print, online, tablet and phone. And, research finds that they trust the ads there too – more than any other medium. They turn tothose theintrusted source: newspapers. BELIEVE IT? How do Canadians know if it’s true (or not)? They turn to the trusted source: newspapers in print, online, tablet phone. And, research finds that they trust the ads there too – more those in any other medium. Be where Canadians look. Left to right: Bohemian Waxwings by Michele Mccue; Buck and Wildflowers by Trevor Ridder; Grizzly Cub Shaking off Water by Brett Turner; Busy Bee by Jennifer Klassen; Bald Eagle by Christine Cretchley; Bumble Bee Friend by Jessica Alexandrovich. Got photos? Send them to us! 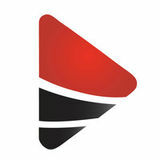 At the top of your favourite Black Press Media newspaper website, click on the exclamation mark to submit your photos! Left to right: Grizzly by Ronald Coutts; Up Close and Personal by Ralph Langelaar; So Sweet by Tami Quinn; Snow Geese by Elisabeth Leach. JOB SEARCH Local Work. Local Employers. Your best source for local jobs. Left to right: Cold Flight by Dustin Abernethy; Mom and Kids by Tom Cunningham; Time to Run by Brian Pontifex; Happy Squirrel by Rino Falvo; Family by Christina Dutkowski; The Stare Down by Leanne Stewart; Hooo There by William Snow; Crane by Eric Eichberger; Sing for the Moment by Nicolas de Witt; Leaping Fawn by Tania Simpson. Got a news tip? We want to hear from you. At the top of your favourite Black Press Media newspaper website, click on the exclamation mark to submit your news tip! News you can trust. The most comprehensive local news in the province. WANT TO OUTSHINE YOUR COMPETITOR? HELPING YOU DELIVER: The right message. To the right audience. At the right time. Left to right: The Big Leap by Charlene Gray; Pacific Tree Frog by Christina Dutkowski; Female Wood Duck by Tracy Friesen; Shorteared Owl by Bryan Stephens; Peacock by Jennifer Tolonics; Fishing In Evening Light by Garry Dosa; Hard at Work by Lynda Stevens. BELIEVE IT? Believe it? ! They turn to the trusted source: those in any newspapers. other medium. And, research finds that they trust the ads there too – more than any other medium. Be where Canadians look. Want to win some really great stuff? Click on the contest button at the top of your favourite Black Press Media newspaper website to enter for a chance to win! THE 2018 AMATEUR PHOTOGRAPHER OF THE YEAR IS . . .
Congratulations to all of the winners of the London Drugs 2018 Amateur Photographer of the year contest! Congratulations Angeline Haslett! Angeline is the Amateur Photographer of the Year! The winning photo “The Passion” was taken at the Harrison Festival Arts, Harrison Hot Springs.